This was my second recipe from Bread Revolution (my first being a white loaf which for some reason I have deleted my photo of!). I decided to make the flatbreads after getting some lamb mince in the reduced section of Tesco and I had a nosey through my books and decided to make some lamb kebabs (Bill Grainger's recipe) and the recipe stated to serve in pitta or flatbreads. The kebabs were lovely (although possibly just a lamb burger in disguise), my daughter did all the measuring and mixing and we added some rosemary from the garden and some mint sauce to make them even tastier. The flatbreads were delicious, as usual I only made half of the mix, however, I did struggle to get the windowpane effect when kneading them so I think I didn't have the dough wet enough. We topped some of them with some lovely salt and, again, rosemary from the garden. 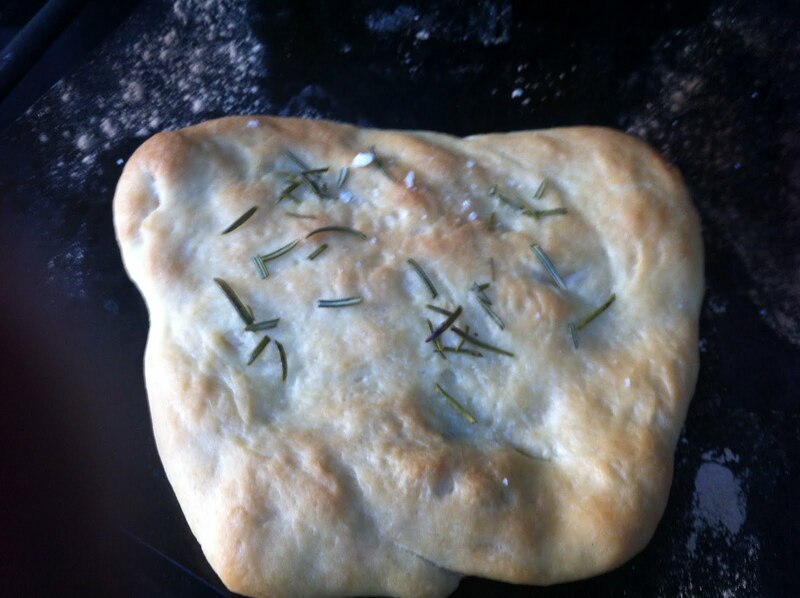 For my daughter (who is eight and therefore I don't like her having salt) we topped a couple with garlic to make them like garlic pizza bread. We (me and daughter) ate them while watching the Olivier Awards on the red button (well done Les Miserables!) and they were a brilliant Sunday night dinner. 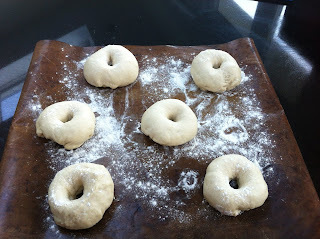 Husband had his later and revitalised them in the oven as instructed in the book and really enjoyed them. I'm going to try these again as I think they'll be even better if I can get that windowpane effect. Also I'll try and work on my shaping a bit more next time! 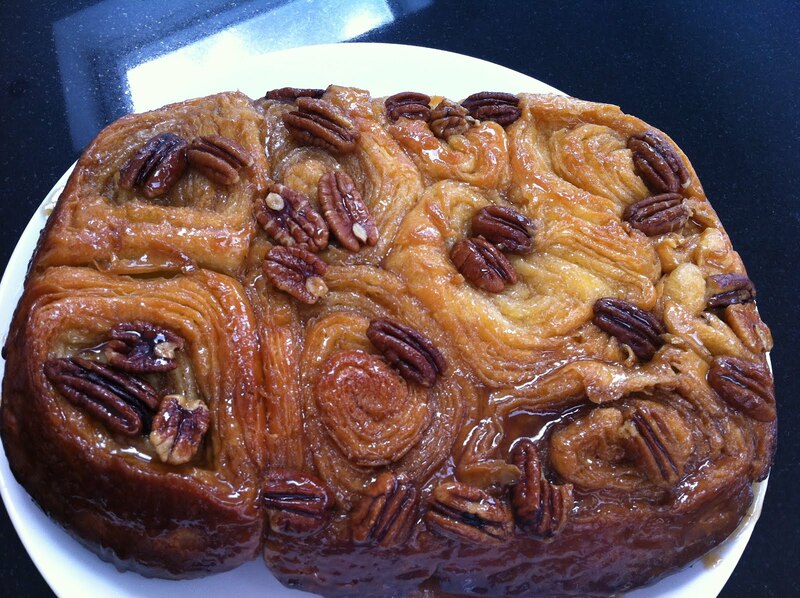 This week's Tuesdays with Dorie is pecan sticky buns. I would say this was the most laborious recipe to date, not difficult just time consuming. To be honest I don't think I read through the recipe before starting so I didn't realise how long it would actually take to finish. 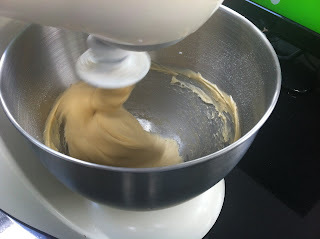 The dough was made in my mixer (otherwise known as Lola). There is no way this could be done by hand but Lola made light work of it. As usual I only made half of the recipe and let me tell you there is no way this is Weight Watchers friendly!! 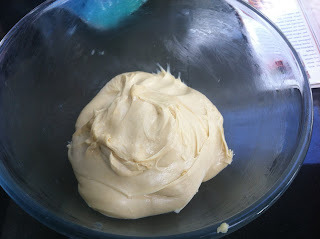 There is a ridiculous amount of butter in it but it makes a delicious brioche dough. 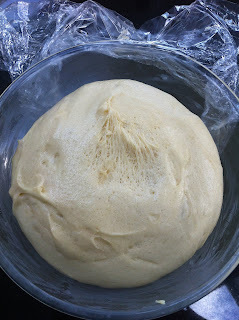 You then leave the dough for it's first rise until it has doubled in size. The dough is then knocked back before it going for a second rise, this time is a long one 6 hours at least in the fridge, I left mine overnight. 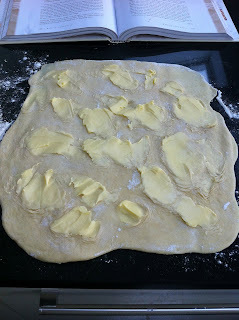 The next day you roll out the dough and fill it with a ridiculous amount of butter before folding it up and rolling it again. Folding and rolling, folding and rolling. 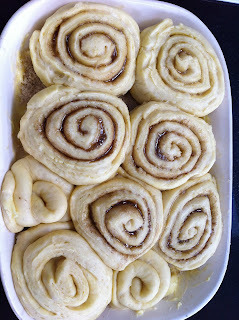 Then you roll it out and fill with brown sugar, pecans (I left out the pecans) and cinnamon and roll again and refrigerate. During these stages there was a great deal of resting and putting in the fridge and long-winded stuff like that. 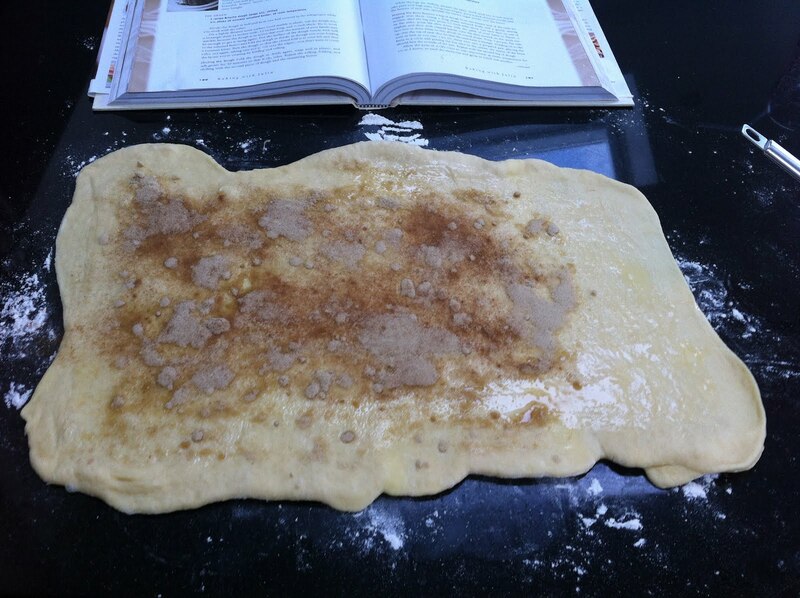 Then you fill a dish with butter and brown sugar and slice the dough into rounds and place them cut side down onto the sugary mixture. You then leave them - shock horror - again to rise for a couple of hours. I cut the ends of my roll to neaten them but then added them to the dish anyway because I didn't want to waste any! I didn't think they would rise as much as they did but they really filled my dish nicely. Just before I put them in the oven my fabulous husband appeared with some pecans (I hadn't been able to find them before) and so I tucked a few underneath the buns, that is why they aren't particularly well positioned on top of the buns in the finished product. They were delicious, really lovely. All of the family ate them and I even took a couple to the cinema on sunday afternoon and ate them with my daughter while watching Avengers Assemble. They travelled well and a tissue was enough to sort out the sticky fingers! 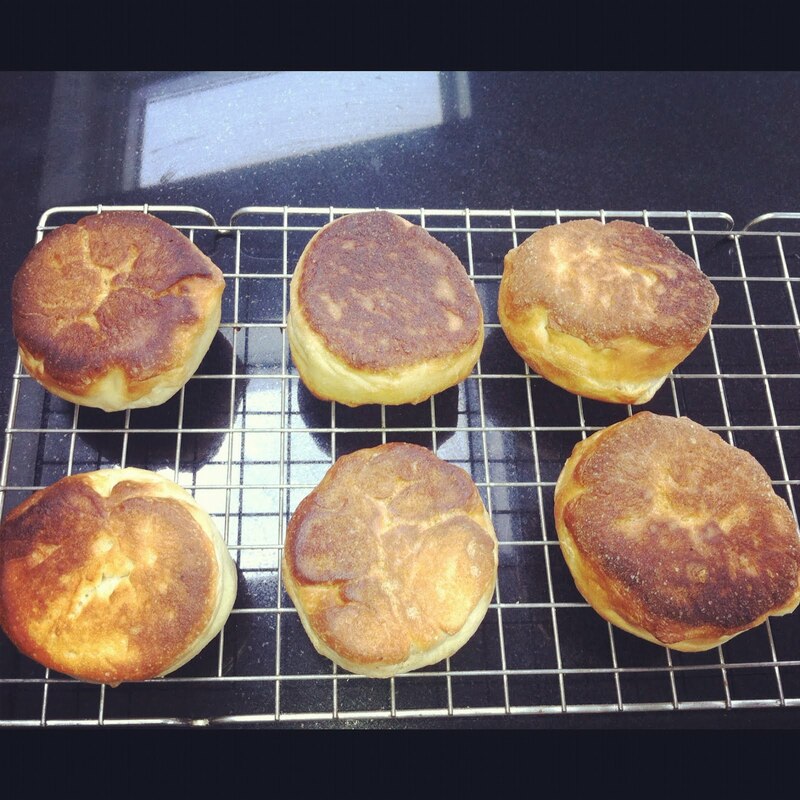 Will I make them again? To be honest I know that I won't they were lovely but sooooooo much hassle and time consuming. 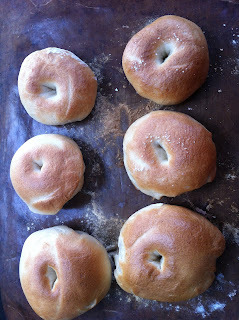 So you know I'm loving my Bread Revolution book, last week I decided to try my hand at the bagels. I love bagels as does my family but we have always bought then and the whole boiling issue has always put me off even attempting them. 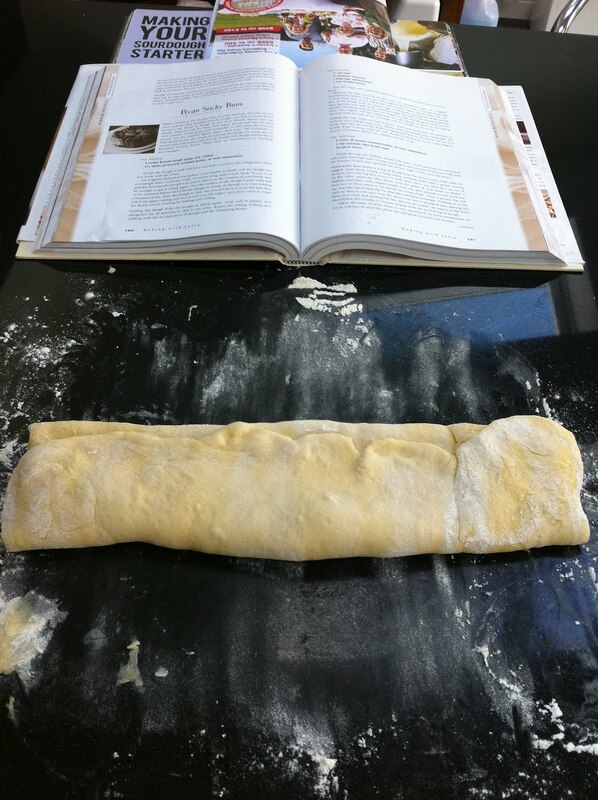 Filled with enthusiasm and the excellent instructions and past results from this book I decided to give it a go. 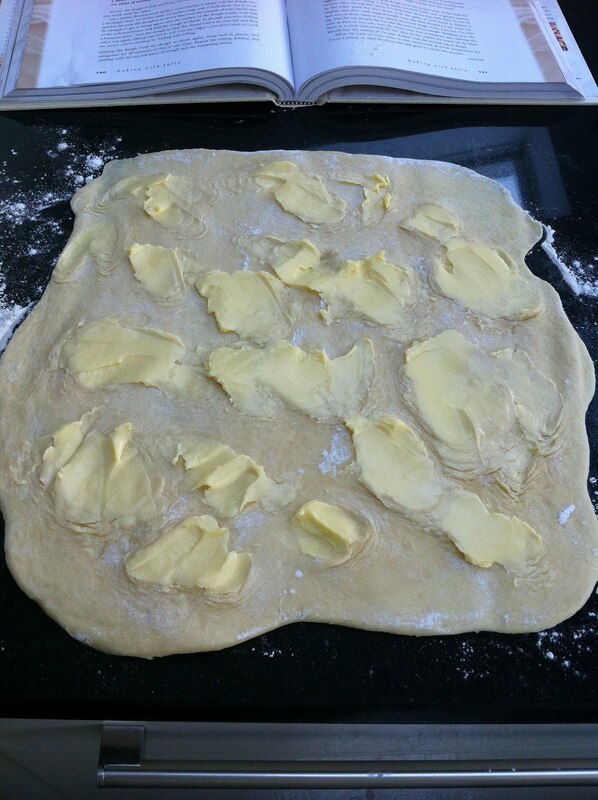 You start off by making a dough which is the same as usual however it had honey in it. Unfortunately I had no honey in and so used a bit of golden syrup as an alternative. After the first rise you shape into balls and then stick a hole in the middle and leave for the second rise. 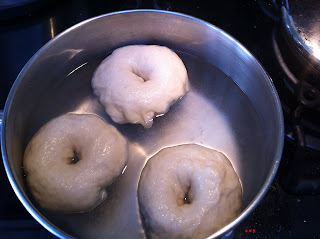 Then after they have risen you boik them in water for two minutes on each side. This wasn't too difficult at all although you can see from the picture that my shaping leaves a lot to be desired. After boiling you add any toppings you want and they go in the oven for baking. I can safely say they were AMAZING. We loved them, so soft in the middle but nice and firm on the outside. They are better than any bagel I have ever purchased and I will be making them again. Mr DJ was away for the night when I made them and sadly they were hard as rocks the next day (I had saved him two!) so I would say that you should only make as many as you need (although I presume they could be frozen?). 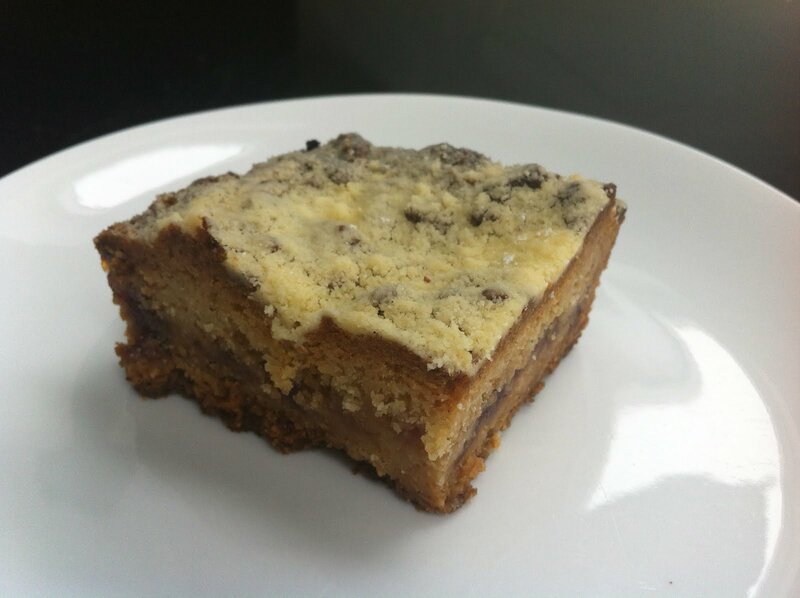 I will be making these again and this time I will put a topping on some of them too. Last weekend as well as making the bagels on Saturday I fancied giving the soda bread in the book a go on Sunday morning. Soda bread is delicious and, having tried my hand at Dorie's bread at least four times now since the original baking, I feel like a bit of a pro. The soda bread in Bread Revolution is a brown loaf and quite a bit different from Dorie's soda bread, to start with it doesn't have any buttermilk in it. 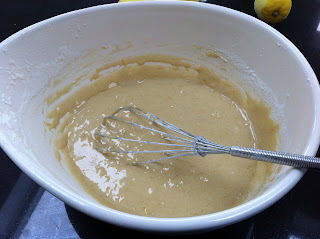 The mix, however, is just as simple; flour, milk, bicarbonate of soda, salt and red wine vinegar and a quick mix and you're all sorted. The book states that it looks like porridge and that was a really good description of the dough, very wet and not at all attractive!! 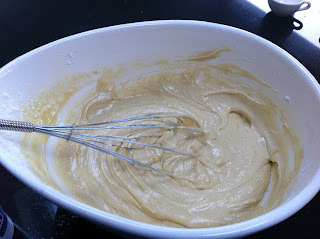 I made half of the mixture (as ever!) and it produced a nice small loaf which we had for lunch with cheese and salad. I didn't smooth the top before baking and I probably should have done to make it a bit prettier but it certainly didn't affect the taste. My daughter wasn't keen but she's turning into a fusspot at the moment. I loved it and so did my husband. Another one to add to the list! I only took one photograph I'm afraid but you'll have to take my word for it, it was lovely. This week's Tuesdays with Dorie is Hungarian Shortbread. It is basically a shortbread sandwiched with jam in the middle. Of course Dorie suggests you make your own jam and gives the recipe she does also state it is fine to buy some. I had a BAD experience making jam last year which involved me spending months, and yes I mean months, trying to save my big pan which had the thickest layer of burnt sugar over it and so I have no intention of trying jam again too soon. For the purposes of this TWD, therefore, I have used the jam fresh from a jar which I bought at the shops! The dough is made in the mixer; 1lb of butter (!!!!!) 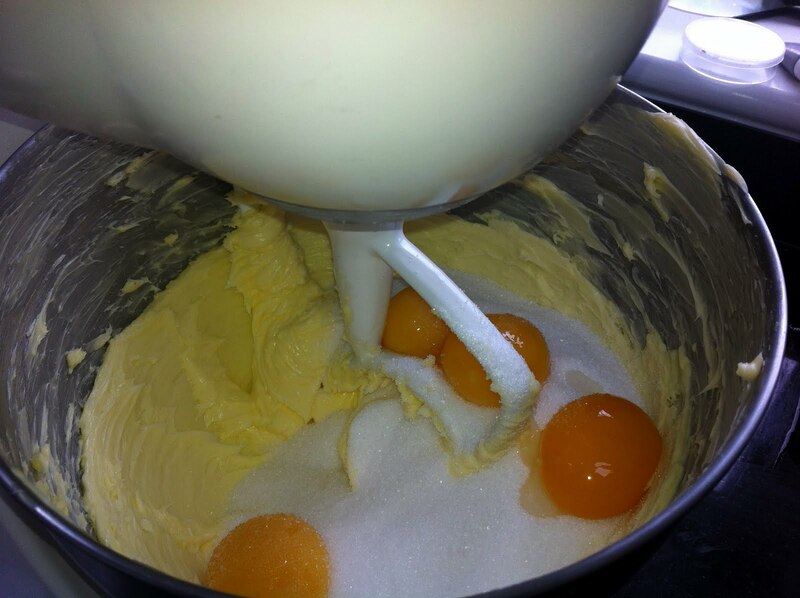 mixed up first until light and fluffy then add your sugar and egg yolks. Then you add your flour and baking powder and the dough is complete, easy peasy. 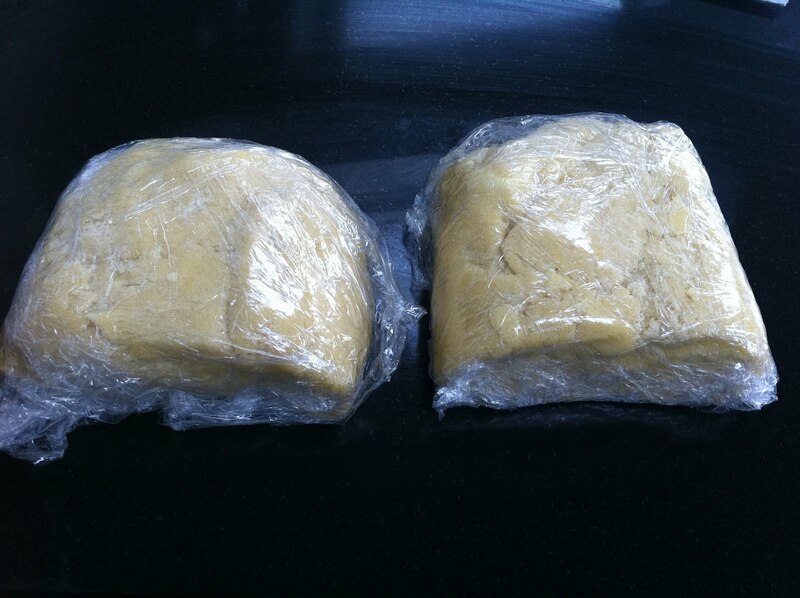 The dough is divided into two balls (or square type things in my case) and frozen for up to 30 minutes. 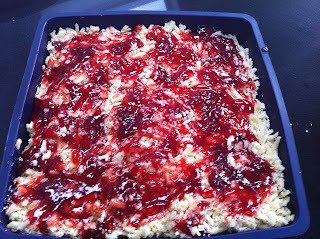 Once the dough is out of the freezer, one ball of it is grated into the tin, the jam added and then the second ball of dough grated on the top. I had loads of dough left over and I've left that in the freezer to use another time. 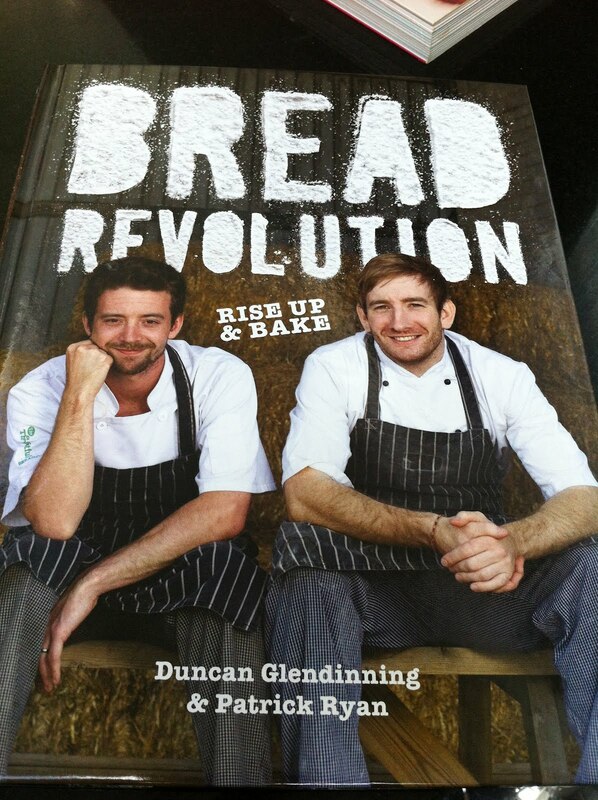 As I'm not keen on chocolate my Mother-in-Law gave me £10 for Easter rather than buying me an egg and with it I bought Bread Revolution which is written by Duncan Glendinning and Patrick Ryan. I've wanted the book for a few months after following the guys on twitter @thoughtfulbread and seeing them re-tweet all the pictures that people send them of delicious breads they have made. 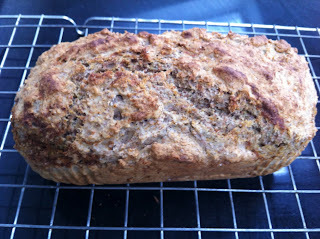 This is my third recipe from the book, the first being the plain white loaf and the second being flatbreads. I didn't take many photographs of them and will dig them out and add them to the blog at some point. I really fancied trying the English muffins this week. 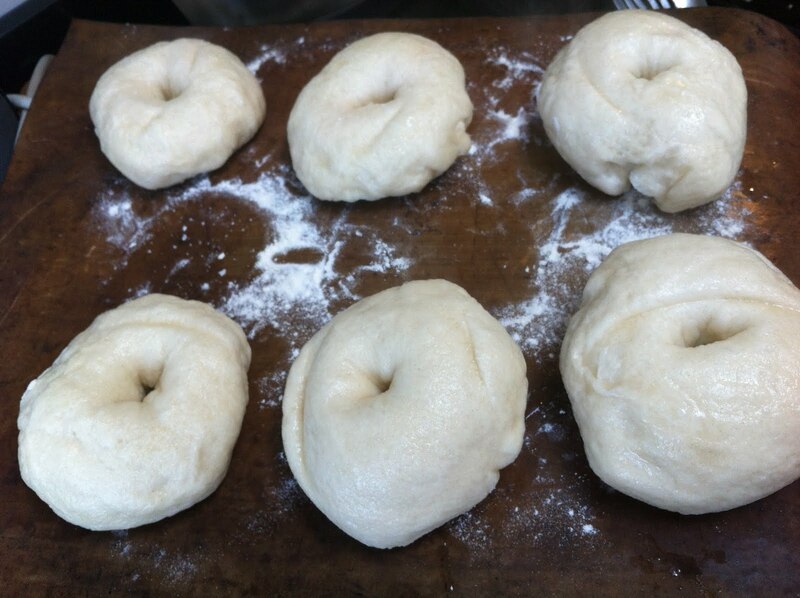 They are surprisingly easy to make. You start the dough like a scone dough by rubbing the fat into the flour, I mis-read the recipe and added tablespoons of butter rather than teaspoons but it didn't seem to affect the bread at all. Then you add your milk mixed with yeast. My first two attempts at bread have not been wet enough so I added slightly more milk than the recipe stated (as advised by the guys on twitter - thanks for the tip!) 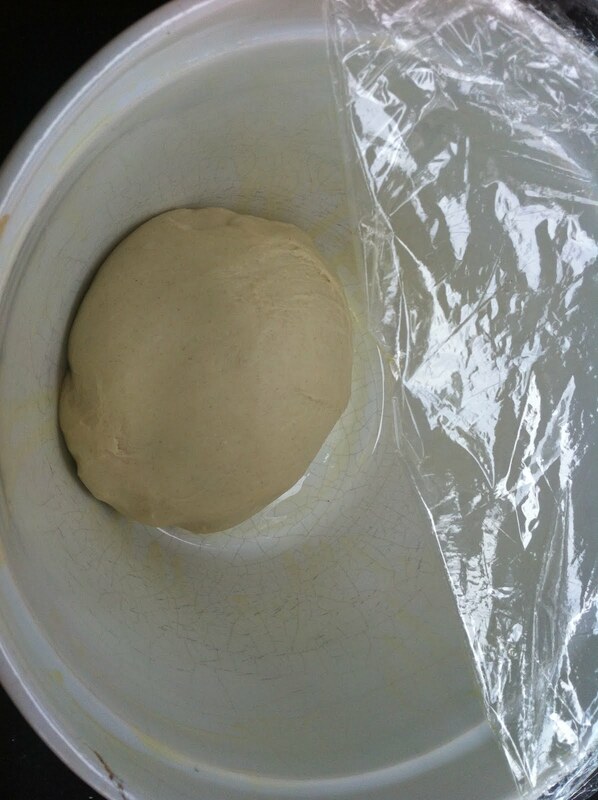 and the dough was gorgeous when I was kneading it. It took me around 20 minutes kneading to get to the 'windowpane' stage before the dough goes off for the first rise. 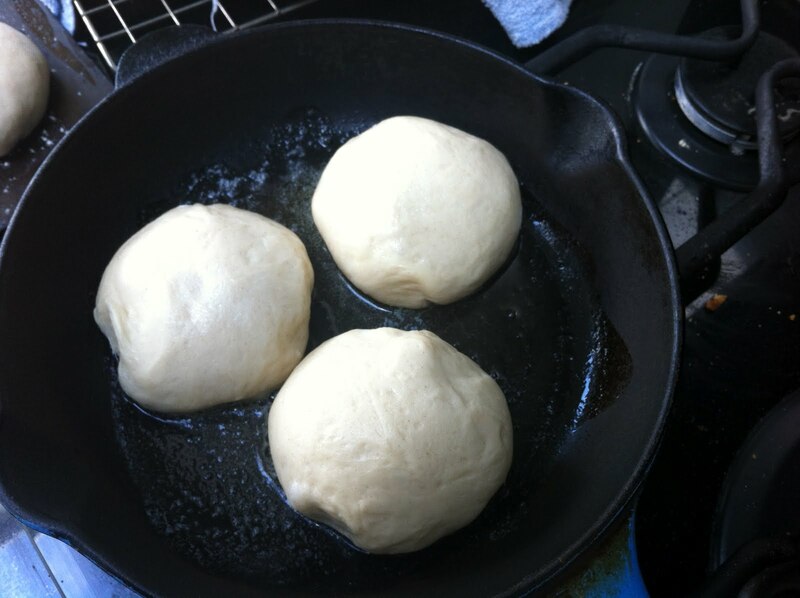 You then shape the dough into balls before the second rise. I made half the mixture (as usual) and made six muffins. You then fry the dough for a couple of minutes each side in butter and oil before transferring to the oven for 10 minutes to finish the baking and here is the result - delicious!!! After I made them I wanted to have them with my dinner but couldn't decide what to do. 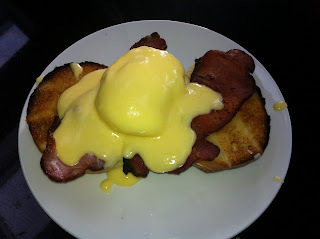 The book also has a recipe suggestion for each bread and for the muffins it was Eggs Benedict. Well I love eggs benedict but have never tried a hollondaise sauce before but the ingredients were all to hand and I had to do was pop down the road for some bacon and our dinner was sorted. I was so pleased with the sauce. I must admit it did split initially but the book gives great advice for rescuing it. I also poached an egg successfully for the first time in water (I usually use a poach pod) following their steps. What a delicious meal, I know it should be for breakfast but it made a great Saturday night meal while we watched the Voice. 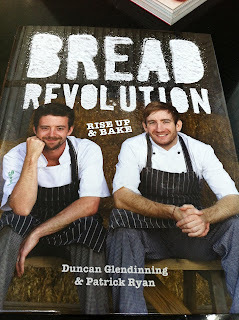 It's a great book and I intend to try a recipe a week (if I can) as each time they are gettting better and better! 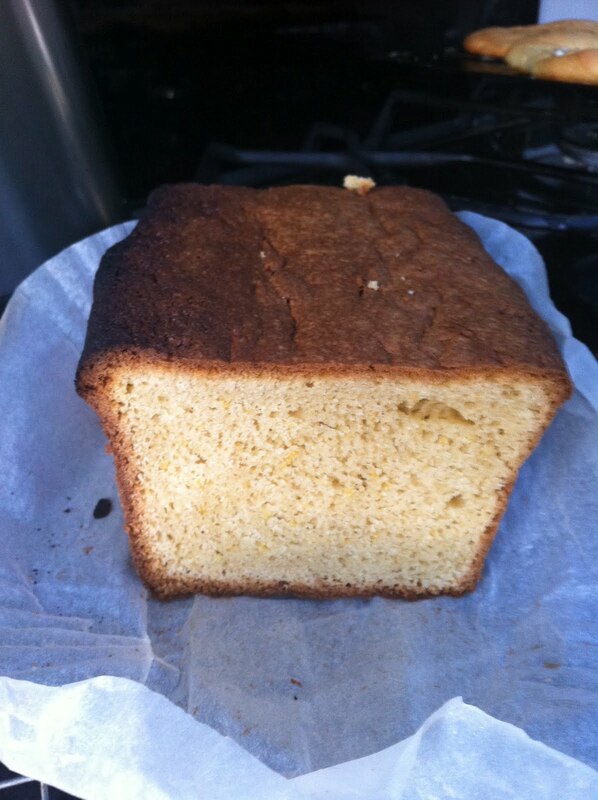 This week's Tuesdays With Dorie is Lemon Loaf Cake. For the first time I made the whole recipe! 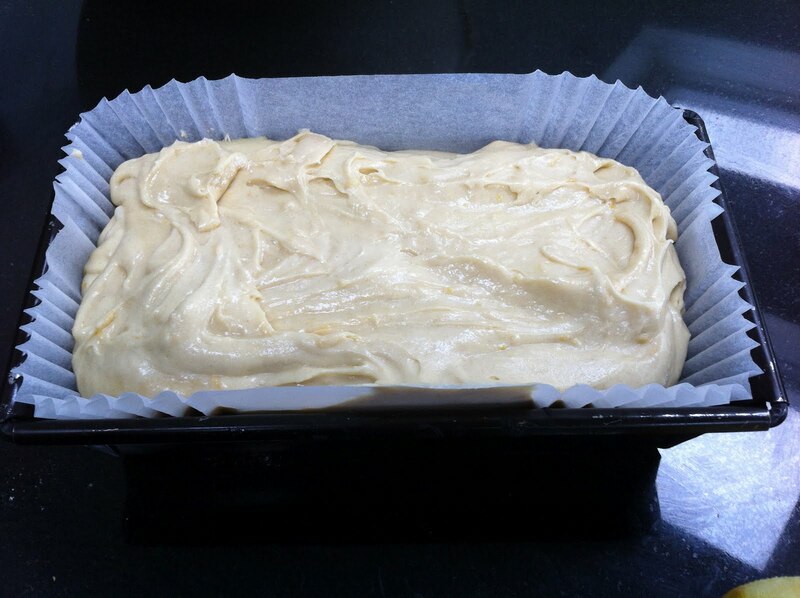 Cake is always a hit in our house and I love a loaf cake, plain and simple and great to wrap in foil and take to work or school and to have with a cup of coffee. This was such a simple cake to make. 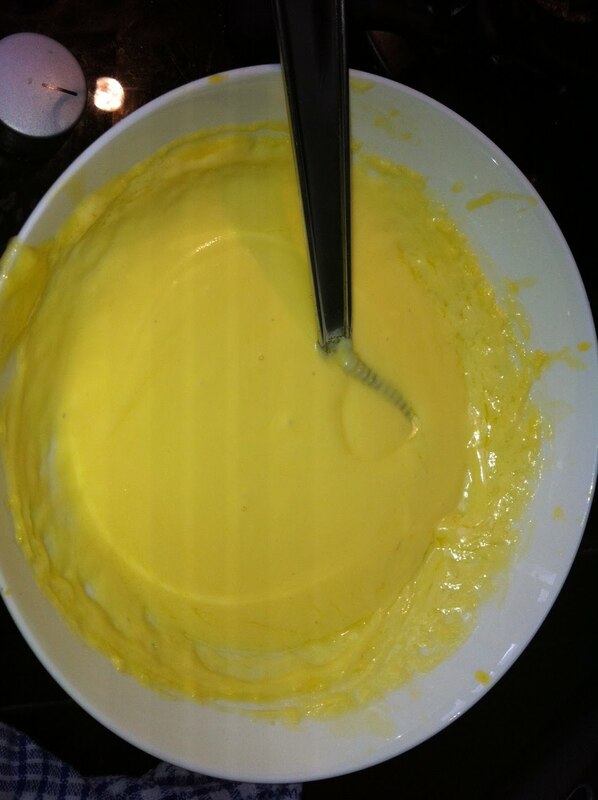 A very basic mix the only lemon flavouring was rind, not juice was used. and put in a loaf tin. You can see I'm lazy and use the pre-pepared liners. They are so handy to have in the cupboard and save having to grease and deal with cakes getting stuck. Here is the finished product, it's a terrible picture I know but I meant to take more when I realised it was all gone! We loved it, great on it's own but when it was a couple of days old I had it toasted with butter - delicious. I will most definitley be making this one again. This is a blog to record my sewing, knitting and baking exploits.